Karrueche Tran has no plans to get Chris Brown back despite fresh rumors claiming that she is upping her game to outdo Rihanna to get back in Breezy’s arms. Sources are telling us that Karrueche Tran is merely stepping up her game for her acting career. “Karrueche sole focus is her acting career so she working out and upping her game has nothing to do with any rivalry with Rihanna to get Chris Brown back,” sources told us. “Karrueche is trying to move on with her life and folks are still trying to tie her to Chris. She made it very clear that that is not a relationship she want to be in. Doesn’t mean that she hate Chris or his adorable daughter. They split and they are trying to move on and so should the rest of us,” sources revealed. Tran and Rihanna sparked fresh rivalry rumors last week when the actress/model was spotted partying inside the same nightclub as Rihanna’s rumored boyfriend Karim Benzema. But an insider told us that it was sheer coincidence that they ended up at the same spot. Chris Brown is currently touring overseas with shows in the Philippines, Australia, and Israel. Earlier this month, Breezy low key responded to some of the rumors that has been floating around. When u start believing bs it only opens doors for more bs. Be an individual and make decisions for you. ?? Karrueche has also been keeping herself busy with her acting career. Aside from her role in the online sitcom Vanity, she also starred in the new Sci-Fi movie 3 Headed Shark Attack, as well as, some upcoming roles. You don’t need to be a psychologist to know that a woman like this is capable of denying the reality of her hurt feelings regarding CB possibly getting back w/ Rihanna. After all, she’s the same woman who denied her hurt feelings when she was in an emotionally abusive relationship with the same man. She pretended there was nothing wrong with 3sums, or with being left in some hotel room, while he was out watching basketball with Rihanna. Kae is a sucker for self-degradation. Chris don’t want this woman back. Get it straight all you so few kt fans. They need to stop asking her questions about Chris then. Do yo thang, Rue! Or what she can do is ignore them…she doesn’t have to respond. There will always be gossip and she knows this. She chooses to respond. Given the fact that she thinks that she’s a ‘celebrity’ doesn’t she have a spokes person who can issue statements on her behalf or is she not that important/ Just asking…..
Well at least they go one thing right Rihanna is not giving Karrueche nor Chris Brown a second thought,! Kae doesn’t bring up Chris at all anymore. This whole article is just gossip and a lot of you should know that already. Chris is doing his own thing and so is Rihanna and so is Kae. None of them are mentioning each other or even caring what the other one does so stop buying into the nonsense these articles give you. It’s just gossip and rumors and if that’s all you read then you should re-evaluate your life. I luv u Rihanna kiss! Kiss! Kiss!! Tran is a trash, hate her intruding attitude and dat wanna be attitude leads u no where!! Ooooops! luv uu Rih!! 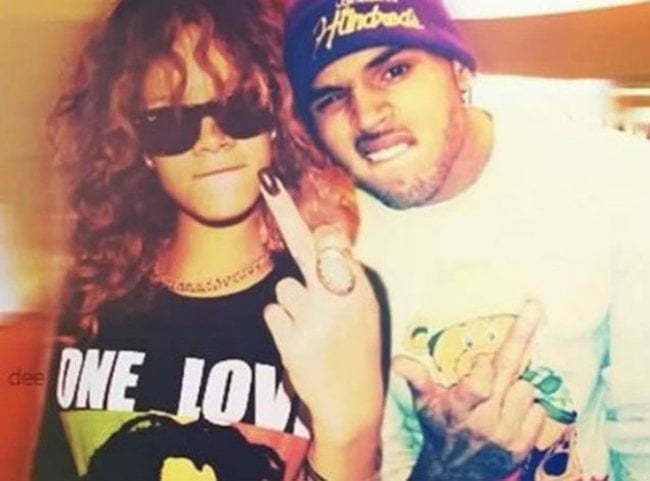 Haters you can write all your made up fake stories about Chris and RI we do not care. These two people are perfect so keep your lies and your bias statements about them to yourselves. We do not care what you losers think. JEALOUS HATERS. No one is perfect just keep that in mind. I think its all bull, gossip. & drama. Why people get off on it ……don’t care . Meaningless really. ????????? blah, blah, blah, blah, blah just stop already! 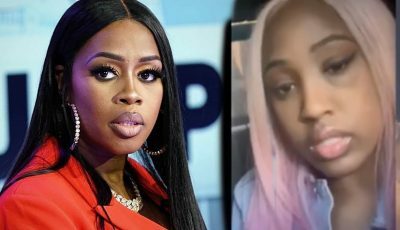 Tran keeps saying she’s over Brown and moving on so why is she still talking about him and never shuts up….is she that desperate for a reality show “Life without Chris Brown” in a sad attempt to keep what little “celebrity status” she thinks she has? Girl show class man that ship has truly sailed…. So true my dear,that ship has sail and sunk already.